Kids will enjoy Basilica of the Sagrada Familia and Casa Mila - La Pedrera. There's much more to do: tour the pleasant surroundings at Park Guell, make a trip to Las Ramblas, appreciate the extensive heritage of El Barri Gòtic, and explore and take pictures at Camp Nou. To find reviews, other places to visit, and other tourist information, go to the Barcelona day trip tool . If you are flying in from United States, the closest major airports are Barcelona International Airport, Girona Airport and Reus Air Base. In December, plan for daily highs up to 59°F, and evening lows to 43°F. Finish your sightseeing early on the 27th (Thu) so you can travel to Seville. On the 27th (Thu), admire the natural beauty at Royal Alcázar of Seville, admire the striking features of Plaza de Espana, then admire the natural beauty at Parque de Maria Luisa, and finally contemplate the long history of Plaza de Toros de la Maestranza. Keep things going the next day: get great views at Seville Cathedral and then get in on the family fun at Isla Magica. To find traveler tips, more things to do, ratings, and tourist information, refer to the Seville trip itinerary maker website . Traveling by flight from Barcelona to Seville takes 3.5 hours. Alternatively, you can take a train; or drive. In December, daily temperatures in Seville can reach 61°F, while at night they dip to 45°F. Finish your sightseeing early on the 29th (Sat) so you can take a train to Cordoba. Kick off your visit on the 29th (Sat): make a trip to Historic Centre of Cordoba, contemplate the long history of Alcazar de los Reyes Cristianos, delve into the distant past at Roman Bridge, then take a stroll through Jewish Quarter (Juderia), then steep yourself in history at Mezquita Cathedral de Cordoba, and finally don't miss a visit to Patios de Cordoba. 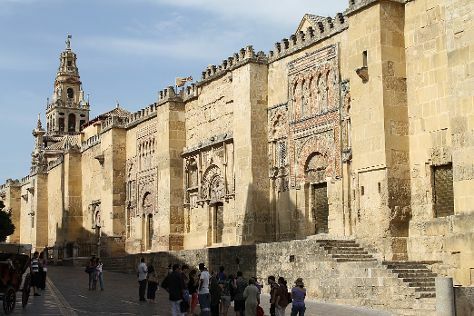 To find where to stay, ratings, reviews, and more tourist information, go to the Cordoba trip planner . Take a train from Seville to Cordoba in an hour. Alternatively, you can drive; or take a bus. Traveling from Seville in December, plan for slightly colder nights in Cordoba, with lows around 39°F. 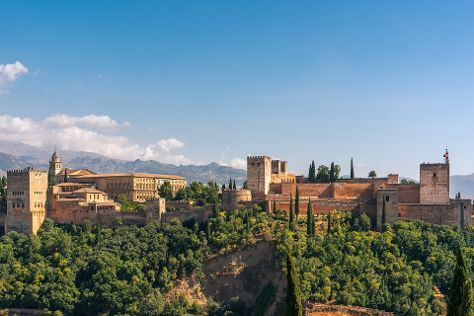 Finish your sightseeing early on the 29th (Sat) so you can drive to Granada. To find maps, ratings, traveler tips, and other tourist information, use the Granada trip itinerary planner. Drive from Cordoba to Granada in 2.5 hours. Alternatively, you can take a train; or take a bus. Expect slightly colder weather when traveling from Cordoba in December: highs in Granada hover around 56°F, while lows dip to 36°F. Finish your sightseeing early on the 31st (Mon) to allow enough time to travel back home.